Posted in: Damien Burke Driving Test Passes, Driving Lesson Frome, Driving Lesson Trowbridge, Happy Customers. 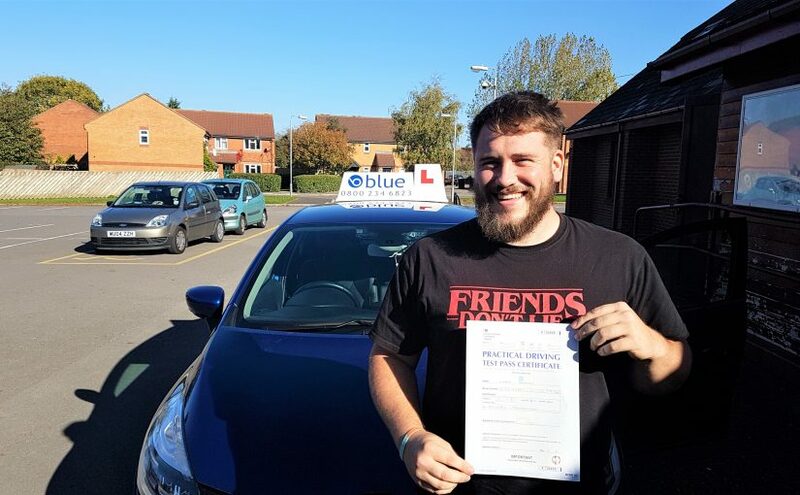 A very good result for Luke Dorman of Trowbridge, Wiltshire who passed his driving test with only a few faults in Trowbridge. Luke had to drive though a lot of narrow suburban streets lined with parked cars and then headed out to Bradford on Avon for his independent route. Luke had a reverse bay to do at the test centre and an emergency stop.. All the best from Damien Burke you’re driving instructor, and all the team at Blue. The following suburbs and surrounding towns and suburbs such as places like Frome, Trowbridge, Beckington, Westbury and Nunney are all populated with a variety of drivers not just in their own vehicles but, tradespeople in their vans, trucks, HGV’s, buses, taxis and let’s not forget cyclists, motorbike riders and the ever present pedestrian, trying to get to work or school. All the above require a high level of concentration so you should be able to demonstrate the ability on how to apply a systematic approach to driving, such as Mirrors, Signal, Manoeuvre Position, Speed, Look (MSM-PSL). This is a core foundation skill that all our clients at Blue School of Motoring are taught on day one on our training courses. MSM-PSL also requires the ability to forward plan and how to balance and combine the demands of safe driving and the principles of eco responsible driving. 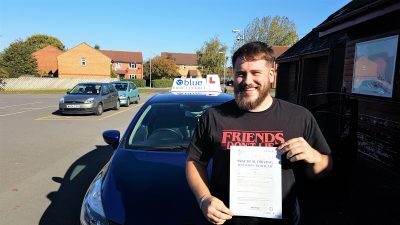 We have quite a few driving instructors in and around the Wiltshire area that will design a driving course that suits you and covers all of the driving modules that will prepare you for the theory and eventually the driving test. All of our driving instructors are fully qualified DVSADI’s this means that they are Driving & Vehicle Standards Approved Driving Instructors, and that they have been police CRB checked.